The 7 June 2015 general elections in Turkey delivered a significant setback to Recep Tayyip Erdogan’s aspirations to transform the country’s parliamentary system into a fully presidential one. The party that underpinned his Premiership for more than 10 years, the Justice and Development Party (AKP), fell 18 seats short of the 276 parliamentarians needed to form a single-party government and 72 seats short of 330 deputies necessary to call a referendum on the Constitution to change governance systems. These results must have been shocking for the AKP leadership whose Chairman, Ahmet Davutoglu, publicly stated the party’s main electoral objective in winning 55-60% of the votes. The defeat is widely attributed to the pro-Kurdish People’s Democratic Party (HDP) which won 13.12% of the vote and the election of 80 deputies. In the aftermath of this result and during the failed discussions to form a coalition government, on 25 July, the AKP began air operations against the Kurdish Workers’ Party (PKK) in Iraq and in Turkey, effectively ending the ceasefire in place since 2013. This reignited a vicious cycle of blood and violence that has now spread to Kurdish towns and cities, shattering any short-term prospects for a peace agreement with Turkey’s restive Kurdish population. At the same time, Recep Tayyip Erdogan spearheaded the AKP’s acrimonious rhetorical attacks against HDP in breach of his role as non-partisan President of the Republic, according to Article 103 of the Constitution. His verbal attacks went so far as to question HDP’s intentions for peace and stability in Turkey, bluntly stating, “So, you don’t have a problem with the flag? Who are you trying to mislead? You have a problem with the nation, with the flag, with the motherland, with the state. Everyone knows.” Simultaneously, members of the AKP government argued that the electoral results weakened the prospects for a solution to the Kurdish issue. The growing militarisation of the Kurdish issue with an increasing number of security operations and acrimonious rhetorical discourse against the HDP constitute a strong indication – if not solid proof – that AKP leadership is carrying out a diversionary war with the open support of the President of the Republic, Recep Tayyip Erdogan. According to diversionary war theory, leaderships whose tenure is at stake are more likely to provoke a war or a crisis. One of their incentives is the rally-around-the-flag effect. Accordingly, leaders try to unite the electorate behind their rule by using a crisis to boost public support with the understanding that voters are less likely to seek leadership change during times of uncertainty. In the Turkish case, exacerbating the Kurdish issue would be a relatively effective way for the ruling party to bring the country on the verge of crisis and garner more support from the electorate by resorting to a nationalist discourse based on the idea of keeping the country together. At the same time, the AKP can potentially weaken the pro-peace and pro-democracy message of the HDP that has been aiming beyond the Kurdish electorate, by trying to depict the party as the Kurdish Workers’ Party (PKK) affiliate. Considering that the HDP has the smallest share of votes, it is seen as potentially the easiest party to be pushed down below the 10% threshold in the November elections. Therefore, electoral weakening of the HDP through the use of a diversionary war seems to have been an attractive proposition to the AKP who are trying to regain their majority. If this is not the strategy in play, it would be difficult to explain the timing of the AKP’s reversal on the peace process. For one thing, the AKP behaviour at the moment shows that there is a finite point as to how far the party leadership and the government can go with regard to the Kurdish question. Regardless of the electoral results in November 2015, the AKP will not be able to deliver on the Kurdish issue by itself. Only a new political culture of coalition governments determined to deliver on political reforms can reverse the process of militarisation of the Kurdish issue. Further escalation of the conflict will endanger Turkey’s medium- and long-term regional and domestic interests, with consequences for the whole of the Middle East. 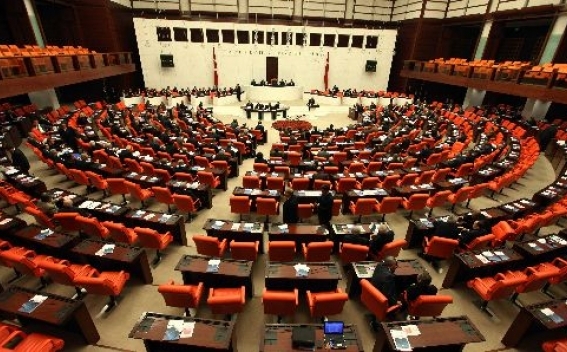 Traditionally in the Turkish electoral system, the majority party benefits most from the extremely high voter threshold (10%) all parties need to meet to sit in parliament; those parties not receiving at least 10% of votes are not allocated seats. This had worked in AKP’s favour in previous elections. One of the most striking cases is that of 2002 elections when the party managed to secure 363 seats with only 34.28% of the vote. At the time, only the Republican People’s Party (CHP) managed to pass the 10% threshold. Other parties, such as the True Path Party (DYP) and the Nationalist Movement Party (MHP) received 9.55% (forfeited 42 seats) and 8.34% (forfeited 34 seats) of the votes, respectively. This time the electoral success of the HDP stripped the AKP of the extra seats. As a result of it, it is highly likely that the AKP decided to initiate a diversionary war under conditions of domestic and regional uncertainty. The country is now heading into new elections with no clear guarantees about the governability of the country in their aftermath. The crisis in Syria is becoming more and more complicated with the active military involvement of Russia from air while the bitter civil war continues taking its toll on the ground. The political context right before the air raids had been very favourable for striking a permanent solution within the ensuing months, for the following reasons. First, the Kurds of Turkey felt, for the first time, that they had strong political representation in the parliament through the HDP. The parliament could have served as the main conduit for Kurdish aspirations for social justice and cultural and ethnic equality within Turkey. Second, the HDP had been trying hard to win the game of politics over the game of war at least on a discursive level, attempting to build an atmosphere of political reconciliation in the Kurdish areas in order to put pressure on the PKK to consider seriously laying down arms once and for all in exchange for a viable and permanent peace agreement. The imprisoned leader of the PKK, Abdullah Ocalan, also played a positive role in this direction, calling on the PKK to solve the issue through political dialogue. Third, the AKP had themselves invested a lot of political capital before the elections in finalising a roadmap for the peace process. To see this through in the aftermath of the June 2015 elections, the AKP would have had to put the HDP’s intentions to the test by forming a coalition government either with the HDP or any other party that was ready to constructively contribute to the peace process. Whatever the short-term gains of the AKP rally-around-the-flag effort, the long-term consequences have the potential to be catastrophic for Turkey’s domestic stability and position in the region. It appears that the AKP first decided to end the ceasefire with the PKK unilaterally, weakening the HDP’s pressure on PKK to lay down their weapons and re-course to formal politics. Despite AKP threats and the current air strikes, it is difficult to imagine the PKK giving in now, considering they did not during the peak of war in the 1990s. The only way to weaken and ultimately stop PKK militancy is through political inclusion, like that of the HDP. Another consequence relates to Turkey’s relationship with the Kurdistan Region of Iraq (KRI). After 2007, the AKP managed to develop a deep and successful political and economic relationship with the KRG. This is one of the few relationships in the Middle East that is positive for Turkey’s political, trade and energy interests and has remained intact in the post-Arab Spring context. What the latest developments do – to say the least – is embarrass Turkey’s political allies in the KRI. The PKK might not have cordial relations with the Kurdistan Democratic Party (KDP), but because the group is fighting the Islamic State (IS) in areas such as Sinjar, it is still looked on favourably in some parts of the KRI. All in all, the AKP leadership is playing a risky game and unless it ends it soon, Turkey will have added more obstacles and complexity to its regional and internal challenges than it is actually facing at the moment. The country needs to return to the point before the 7 June 2015 elections in terms of the Kurdish peace process. Irrespective of what the electoral result in the coming election is, the AKP has to make constructive use of the electoral results by considering seriously a coalition government that can deliver on a peace process. It is obvious now that the AKP alone is not able to deliver fully on democratic reforms and the solution of the Kurdish issue. If they do not, then another finite point in the AKP’s ability to govern the country will have been revealed; the ability to share responsibilities and power.